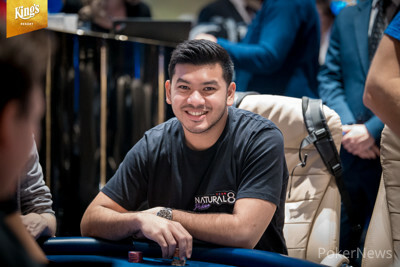 There was one more high roller tournament to be decided at King's Casino during the World Series of Poker Europe and within nine hours, Ivan Leow came out victorious. 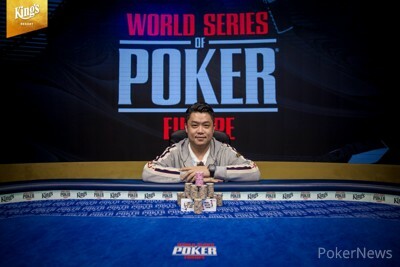 Leow bested a field of 33 entries to claim the title and the €1,251,455 first-place prize. 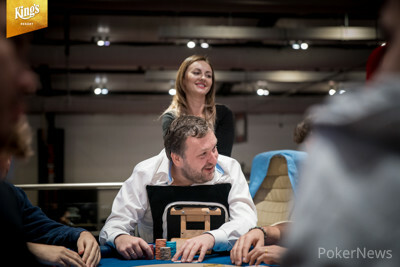 Leon Tsoukernik hosted the event and therefore it was given the name €100,000 LEON's High Roller. It was becoming a sour trip to Rozvadov, Czech Republic for the Triton poker players who failed to run deep in any of the events. However, with one last kick at the can, Leow turned things around with a seven-figure payday. It will go down as Leow's highest career cash and he can add the money to his already impressive resume of over $4.1 million in tournament earnings. Leow celebrated in the arms of many friends when the final hand was completed. Along with Leow, many of the Triton poker players were making their first trip to King's Casino and enjoyed every moment while they were here. He had the largest rail of any player at the final table and it seemed to grow as the tournament went on. The scheduled plan was to play eight 60-minute levels but the structure was quickly revamped with only two players registered at the starting time. The tournament staff had a discussion with the players standing around and the schedule was quickly shortened to a one-day event with 30-minute levels and the first three levels being erased. That seemed to get the ball rolling as the first five players took their seat including King's Casino owner Leon Tsoukernik. In a matter of a few minutes, a second table was opened and shortly after a third table was needed. Many of the usual suspects took their seats with late registration only open for six levels. 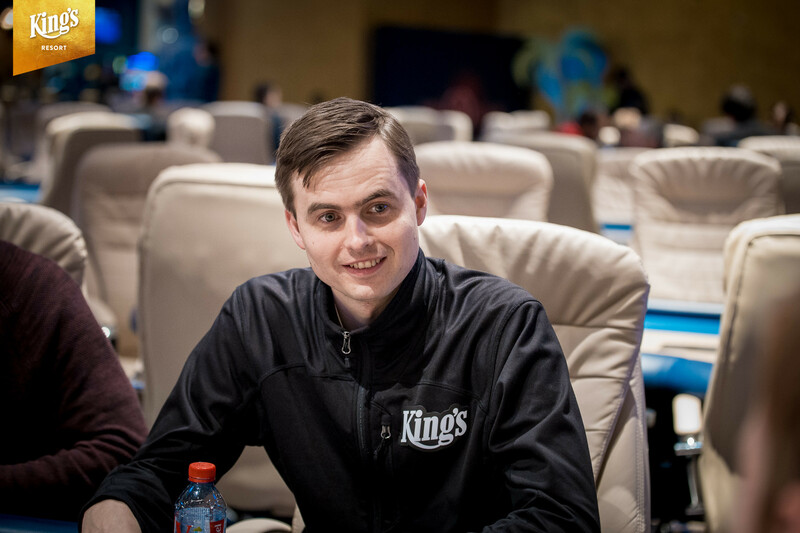 For Tsoukernik himself along with David Peters and Timothy Adams, one bullet wasn't enough as they each entered the tournament three times. Unfortunately, they all failed to run up a stack and hold on to it, hitting the rail fairly early. 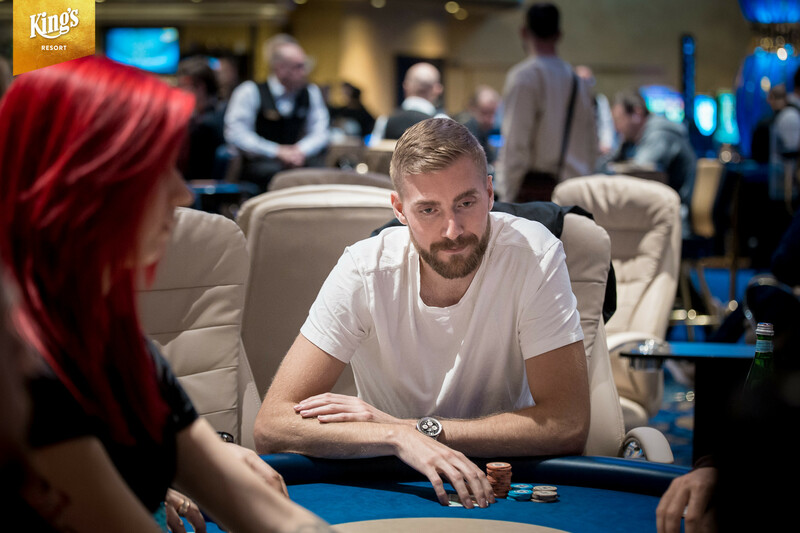 Some others to hit the rail early on included Matt Kirk, Matthis Eibinger, Mikita Badziakouski, Ole Schemion, Stefan Schillhabel, and Adrian Mateos. Once late registration closed, the eliminations started to pile up and within no time, the final table of nine was reached. Martin Kabrhel came to the final table with over one-third of the chips in play and held the clear chip lead. One of the only players to match up to Kabrhel was Sam Trickett but the two tangled early on and got all of the chips in the middle in a flip. Kabrhel's pocket nines held against Trickett's ace-king as the hometown favorite continued to stack chips. When it got down to the final six players, the action tightened up and Kabrhel took full advantage. He continued to apply pressure by raising nearly every hand and picking up the blinds and antes. With such a large money bubble looming, nobody wanted to put themselves at risk. However, the blinds started to creep up on all of the other players and they were given no choice but to gamble. And that seemed to pay off, for a very long time. Each player scored multiple double ups through each other and through Kabrhel as the money bubble lasted nearly two hours. 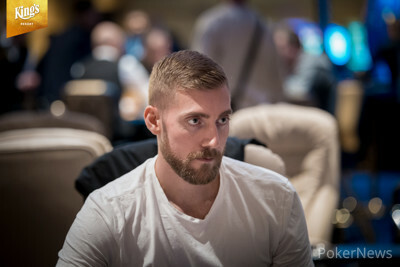 Manig Loeser found himself all in from the big blind for the second time in two orbits. This time, Michael Soyza looked him up from the small blind with ace-high. Loeser flopped a pair but an ace on the turn spelled the end for the German as the final five players locked up nearly a quarter of a million euros. Kabrhel continued to hold all of the chips and it wouldn't take long for the short stacks to fall. In the very next hand, Dominik Nitsche was all in for less than one big blind along with Tony G for two big blinds. Leow had both players covered and put them at risk when he looked down at ace-queen. The board ran out clean for Leow and his ace-high eliminated Nitsche in fifth place and Tony G in fifth place. Just moments later with Kabrhel on the button, he shoved all in and Soyza called off his stack of four big blinds. Leow woke up with pocket aces in the big blind and also stuck the last of his chips in the middle. 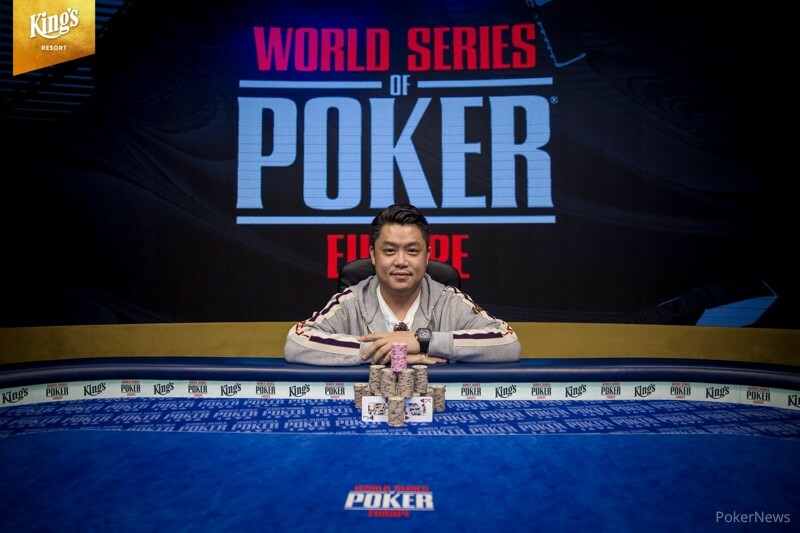 Leow had a much more concerning stack of over six million chips and his pocket aces held on to eliminate Soyza in third place and double up through Kabrhel. When the heads-up match began, Kabrhel held a small chip lead but that quickly evaporated when he ran a bluff on the first hand. Just two hands later, the two players got all of the chips in the middle with Leow holding king-jack and Kabrhel with ace-nine. Leow made a pair of jacks on the flop to take the lead and nailed another jack on the turn to leave Kabrhel drawing dead. The rail erupted as Leow made quick work of Kabrhel in a short heads-up battle. While the High Roller scene has wrapped up at the 2018 WSOPE, there is still the Main Event to look forward to. After three days of completion, there are just 50 players remaining in search of that coveted title. The PokerNews live reporting team will be back to bring you all of the coverage over the next three days as we wind up here at King's Casino. Ivan Leow raised to 1,000,000 on the button and Martin Kabrhel moved all in for his last 7,500,000. Leow made a quick call and the cards were on their backs with Kabrhel at risk. The flop came and Leow took the lead with a pair of jacks. His rail continued to cheer for picture cards hoping to end it on the turn. Indeed, the on the turn locked up the hand for Leow and Kabrhel was drawing dead to the on the river. Ivan Leow raised to 1,000,000 on the button in the first hand of heads-up play. Martin Kabrhel called and the flop came . Both players checked and the landed on the turn. Kabrhel led out for 4,000,000 and Leow called to see the on the river. Kabrhel fired another 4,000,000 and Leow wasted little time before making the call. Kabrhel showed and Leow turned over to drag in the pot. Martin Kabrhel shipped all in on the button and Michael Soyza called off his last 1,500,000 in the small blind. Ivan Leow looked down at a monster in the big blind and also called for 6,425,000. The flop came to leave Leow in a commanding position to double through the chipleader. The turn was the to wrap things up as Leow had both players drawing dead to the on the river. With the elimination of Soyza, Kabrhel and Leow are taking a quick break before heads-up play begins. 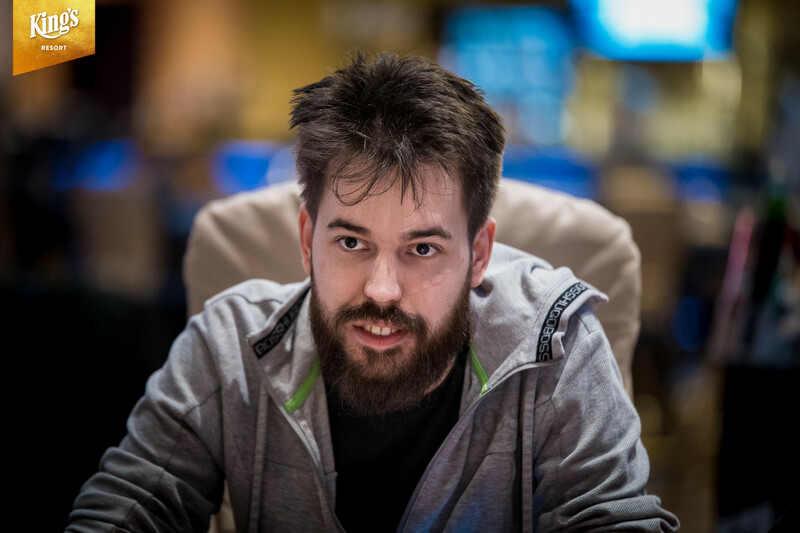 Dominik Nitsche shoved all in for his last 250,000 and was called by Tony G and Michael Soyza. Ivan Leow re-shoved all in for over 5,000,000 and Tony G called for his last 850,000. Soyza got out of the way and the cards were tabled. The flop fell giving everyone plenty of options moving forward. The on the turn changed nothing and the paired the board on the river. Leow's ace-queen held up to eliminate Nitsche in fifth place and Tony G in fourth place. With Manig Loeser all in for his last 325,000 in the big blind, the action folded to Michael Soyza in the small blind who made the call. The flop came to give Loeser the lead with a pair of sevens. The turn was the and Soyza snatched the lead back with a pair of aces. The river was the and Loeser headed to the rail as the bubble boy. Martin Kabrhel raised to 10,000,000 this time and Michael Soyza called off his stack of 1,050,000 on the button. Kabrhel showed and had two live cards against Soyza's . The flop came and Kabrhel was already drawing dead. The on the turn gave Soyza a royal flush and he doubled through Kabrhel. Martin Karbhel raised to 15,000,000 from under the gun and the action folded to Ivan Leow in the big blind. Leow had the second largest stack at the table but still made the call. The board ran out and Leow scored a crucial double up. "Welcome to Tony G Land"